Continuing to evolve after 220 years, San Juan Capistrano is proud to be Orange County's oldest city. The community is absolutely dedicated to the preservation of its wide and beautiful open spaces, as well as its rich historical legacy. The influence of earlier generations is still very readily apparent as you walk through the Mission San Juan Capistrano, the historic Los Rios District, and the downtown area overall. The city of San Juan Capistrano is located at the site of the old Catholic mission for which it is named: Mission San Juan Capistrano. At the time of the mission's founding-in the same year of the nation's independence in 1776-the San Juan Capistrano region was inhabited by the Acjachemen Native Americans. The mission was named after the Franciscan Saint Giovanni da Capistrano (1386-1456). San Juan Capistrano is likely best recognized for its annual migration of the cliff swallows that migrate each year to Mission San Juan Capistrano all the way from South America. The city is also the location of California's oldest residential neighborhood, known as Los Rios. This neighborhood is the home of the oldest building still in use in the State of California, the Serra Chapel in the Mission. In addition to the historic buildings, this area was the site of both the first vineyard and the first winery in California. San Juan Capistrano real estate offers a fine selection of luxury homes for sale including the prestigious gate-guarded community of Hunt Club. Hunt Club features custom, equestrian zoned estates with immense property acreage affording tennis courts, pools, stables and more. The aforementioned migration of the cliff swallows is an annually celebrated event in San Juan Capistrano. These lovely and protected birds are said to return from their southern migration on (or about) Saint Joseph's Day, which falls on 19th each year. This special day is celebrated with the Swallows' Day Parade and other community events. The cliff swallows are then traditionally expected to leave on (or about) October 23rd, which is the former feast day for Saint John of Capistrano. One of the most charming attributes of San Juan Capistrano real estate is the distinct sense of community that makes it an ideal place to live and to work. San Juan Capistrano is known as the Equestrian Capital of the West Coast, because it provides residents with a number of horseback riding trails and stables. There are also 23 city parks to choose from, offering countless open spaces for relaxation and picnics. There are also several recreational hiking trails in the area of San Juan Capistrano that are situated within the broad and beautiful spaces, along the creeks, and the hillsides. The parks that are most often used by picnickers are Descanso Veterans Park and the lovely Cook Park/La Novia. More organized activities are held at the HTC Park, which is the site that usually hosts events that are presented by the city, such as the San Juan Summer Nites event and the Tree Lighting Ceremony which is so popular with residents during the holiday season. Other attractions and activities in the San Juan Capistrano community include beautiful historic finds on Antique Row, excellent, locally grown produce at the Downtown Farmers Market, books, media and other presentations at the local library, and multiple fascinating museums. The city also is the home of the Camino Real Playhouse and Zoomar's Petting Zoo. The downtown area is a great place for local retail shopping and is the home for several great restaurants. The City of San Juan Capistrano prides itself on its six well-maintained athletic field areas. These areas, which are available for planned use by the public, include the Sports Park, Cook Park/Cordova Park, Marco Forster Middle School, Acu Canyon Park, J. Serra Park, and Stonefield Park. The main uses of these fields include AYSO Soccer, Capistrano Girls Softball, San Juan Little League, and the San Juan Adult and Youth soccer leagues. Residents are favored with first choice on the fields, as the Community Services Department is responsible for the reservation of the fields, and operates by giving preference to San Juan Capistrano's sporting organizations. The city's public education needs are administered by Capistrano Unified School District (or CUSD). Within the past couple of years, a new public high school, San Juan Hills High School, has opened with about 600 students in the class, which is the only public high school in San Juan Capistrano. The city also has four private, Christian, college preparatory schools as options for students in the area. These schools are the Capistrano Valley Christian Schools (offering Pre-K through 12th grade), Saddleback Valley Christian School (also with Pre-K through 12th grade), Saint Margaret's Episcopal School (also Pre-K through 12th grade), and the J. Serra Catholic High School (providing 9th through 12th grade). San Juan Capistrano also has two private schools serving children from kindergarten through eighth grade/junior high school. These are the Mission Parish School and Rancho Capistrano Christian School. 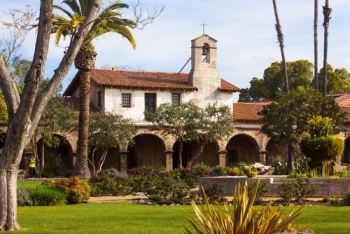 The Mission Parish School is actually located directly on the historic Mission grounds, makes use some of the historic buildings as classrooms, and is right next to the beautiful Mission Basilica San Juan Capistrano. The Rancho Capistrano Christian School on the other hand is located just off of Highway 5 on the southern campus of the Crystal Cathedral. This campus at Rancho Capistrano is also often utilized to host numerous meetings, events, and conventions, not to mention youth summer camps. The real estate experts at The Aaronson Group can connect you with phenomenal San Juan Capistrano homes & houses for sale. Contact us today to find out more!